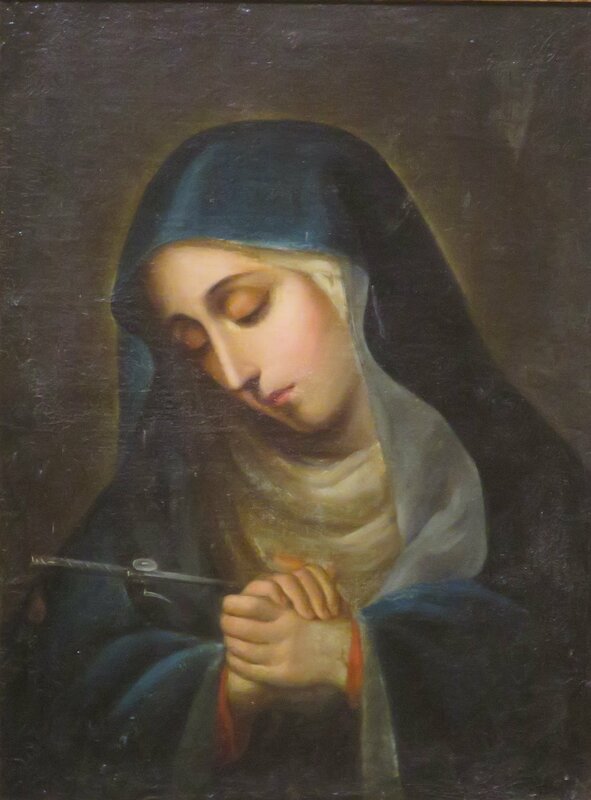 You likely are familiar with the title of Mary, Our Lady of Sorrows. Devotion to our Blessed Mother under that title has taken place since the 12th century. What you might not be familiar with is the Litany of Our Lady of Seven Sorrows. During his five-year exile (1809-1814) at the hands of French Emperor Napoleon Bonapart, Pope Pius VII wrote the litany. At the time, all of Europe was under threat from Napoleon’s vicious ambition, including the Vatican itself. Among other atrocities, he arrested many of its cardinals, robbing them of their red garments and allowing them only to wear their black cassocks. Thus, they became known as the “black cardinals.” He tried desperately to coerce Pius VII to choose a side – his, preferably – but the prelate valiantly refused. And so the mistreatment continued until the Pope was released in 1814 and Napoleon lost the Battle of Waterloo in 1815. Imagine writing something so beautiful while suffering sucha terrible predicament! Yet, Pius VII wrote it and I’m sure prayed it countless times himself. Once he’d been released from exile, he extended the traditionally Servite-only feast to the universal Church. I encourage you to pray the litany at least once during this feast honoring Mary’s spiritual martyrdom. Each one in and of itself is fodder for meditation. That one stops me in my tracks, so to speak. It contains an interesting mix of metaphor that touches my heart deeply. The dove – gentle, meek, lovely, pure, and graceful – is a perfect image of our Blessed Mother. She is definitely all of those qualities and more. The dove is a symbol of the Holy Spirit, and Mary is known as the Vessel of the Holy Spirit, having conceived Jesus Christ in her womb by his power. But, depicting her as a sighing dove adds a surprising dimension. I think of a sigh as both an expression of longing, admiration, and weariness. I sigh when I’m wishing for the impossible. I sigh when I’m appreciating something truly beautiful. I sigh when I’m content. I sigh when I’m perplexed or defeated. I sigh when I’m just plain tired. And sometimes I sigh to get someone’s attention. In my mind’s eye – or you might say, my heart’s “eye” – I can picture Mary as the Dove, sighing for all of these reasons. I can imagine Mary sighing while wishing for the impossibility that all of her and her Son’s suffering would be taken away. I can imagine Mary sighing in appreciation of the astoundingly true beauty of the ultimate sacrifice Jesus is making for all humankind. I can imagine Mary sighing in the contentment of following the Father’s holy (albeit difficult) will. Certainly I can imagine Mary sighing out of defeat and perplexity! Could the Dove be just plain tired? She endured so very much; I couldn’t fault her for letting a sigh of fatigue escape. 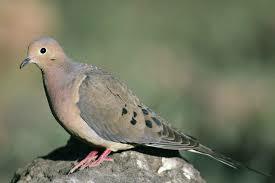 I think above all, I can envision Mary as the Dove sighing to get the Father’s attention. Not in a haughty, self-centered way. Rather, in a mournful, yearning way. I can see it perfectly. Or, I should say, I can see her perfectly. Blessed Virgin Mary, Catholic Church, Feast Days. Bookmark.